Multnomah Falls is the icon of the Columbia River Gorge. It is the 137th tallest waterfall in the United States and reputed to be the second tallest year-round waterfall. When looking down from the bridge that crosses above the lower falls you can look over the edge and see the relatively short seventy foot plunge into the pool at the bottom. 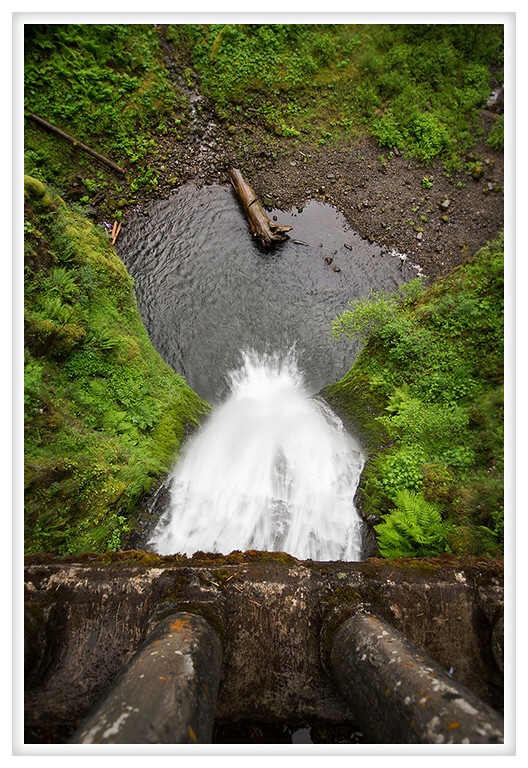 You are hit from behind by the spray of the upper falls after the water plummets over 540 feet. Some years the falls have frozen when the winter weather is particularly brutal but icy conditions make it difficult to reach the falls and capture the phenomena.